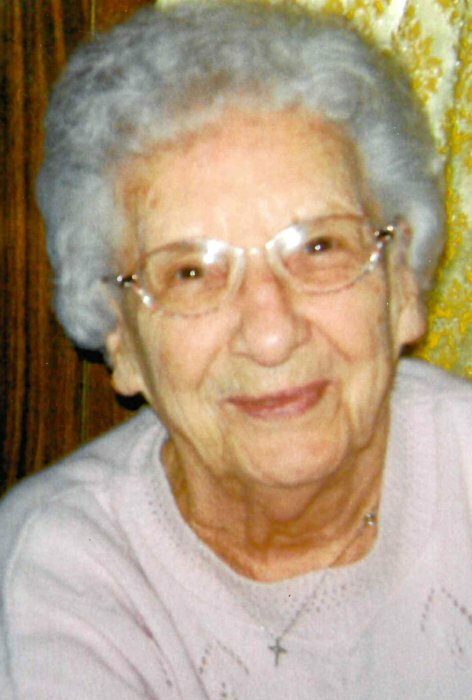 Pauline T. (Pawlak) Mandichak 90 of Gallitzin died January 19, 2019 at her home. Born November 2, 1928 in Gallitzin the daughter of the late Charles and Emma (Koniczak) Pawlak. Preceded in death by sisters Mary Foreso, Madeline Schuster Sr. Clara and Sophia, brothers John, Charles, Walter and Joseph. Survived by her husband of 69 years, Andy whom she married at St. Mary Catholic Church on August 6, 1949 and sons, Andrew (Kim) – Romona, CA, and Michael (Mid) – Ebensburg, grandchildren; Wendy (Jerald) Eteuini, Amy (Jim) Weston, Brad (Jill) and Marc, great-grandchildren, Mason, Maddux, Alison, Tyler, Payton, Braeden, Tinley and Tatum a sister Emma Russins - Altoona and numerous nieces and nephews. A 1946 graduate of Gallitzin High School. Pauline enjoyed cleaning and caring for her family. Member of St. Demetrius Catholic Church, Gallitzin where Funeral Mass will be concelebrated at 10 am Wednesday the Rev. Brain Saylor, Rev. Albert Ledoux and Msgr. Bernard Przybocki celebrants. Committal St. Mary Cemetery. Friends will be received from 4 to 7pm Tuesday at Gibbons Funeral Home, 301 Church Street, Gallitzin where a vigil service will be held Tuesday. The family suggest donations be made to Gallitzin Fire Co. PO Box 41, Gallitzin, PA 16641 in Pauline’s memory.